Joseph and Andrew are back with their second ever joint review, this one with the question of “what if the world was a clock?” in mind. Before we get to that though, Joseph bought a handful of new video games and Andrew saw the new Marvel movie about a black cat. Industry news also comes ahead of the joint review, with topics like a mangaka who think piracy isn’t totally to blame for the poor sales of manga and Goku has a new power level. I’m on Andrew’s side in regards to Clockwork Planet. I got four episodes in a then dropped the show. It just felt so heartless, for lack of a better term. Like no one on the staff really gave a damn about the show and instead just wanted to push some new waifus onto the audience so they could sell merch. I know that most shows nowadays are made to sell merch, but many of them have some actual heart and passion behind them. Clockwork Planet not so much. I’ve got the same feelings towards this season’s Beatless, which I also dropped for the exact same reason. 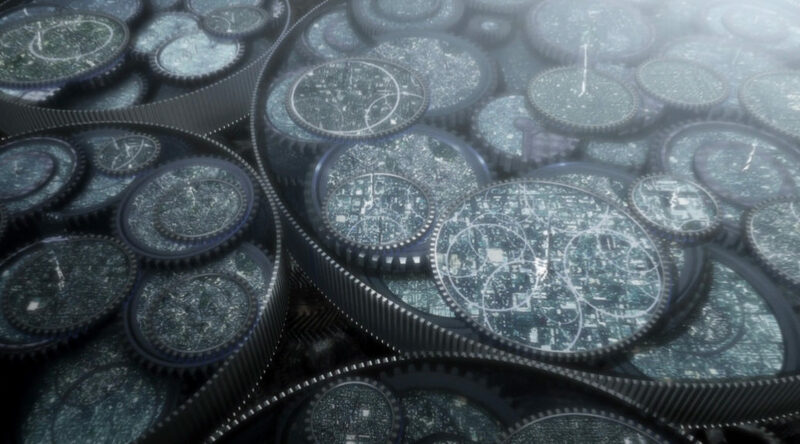 I dropped Clockwork Planet in one epsiode for being brainless. Beatless is like a cookie cutter inside another cookie cutter. On another note I don’t know if you heard the new VG pulse yet but Millennium gave a review on a preview you did, My First Girlfriend is a Gal. He says could only get through and stomach 3 episodes before quitting and gave it a don’t watch/burn it. So if your willing to use his review it’s one more anime cleared off AP doesn’t have to touch. I did listen to that and I found it quite funny. I think it would be good to talk about on the show so I’m holding onto the subject until then. Joey (yeah, thanks to Stalker-chan, I think I’ve settled on what to refer to him as) said that he’s done with Overwatch for now. What about the latest hero, Brigitte? Are you going to check her out, or wait for more content to pop up?